Join a women's only class! 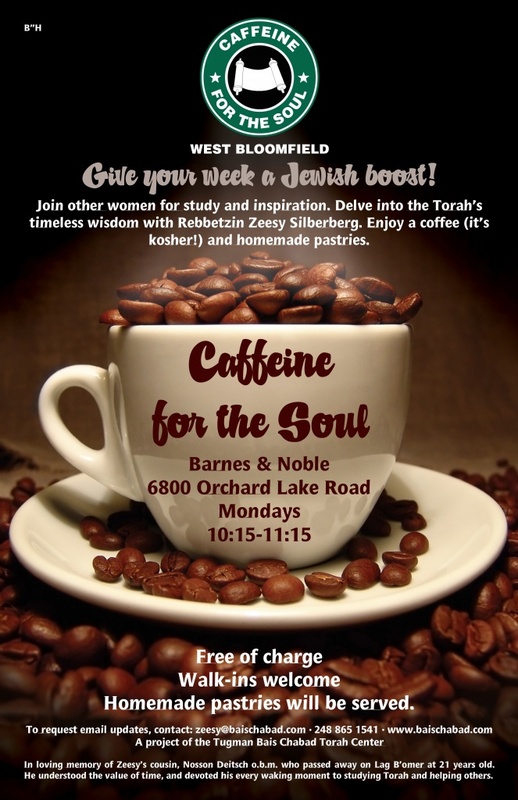 Caffeine for the Soul, Mondays: 10:15 a.m.
Give your week a Jewish boost and join other women at Barnes & Noble on Orchard Lake Road for learning & inspiration and delve into the Torah’s timeless wisdom with Mrs. Zeesy Silberberg. Rain or shine, we are there Monday mornings at 10:15 a.m. Please arrive a few minutes early to arrange your coffee as we begin promptly. 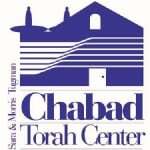 Ethics on Tuesdays: 11:30 a.m.
Join other women at the JCC coffee shop in West Bloomfield at 6600 West Maple road for an din depth discussion on Ethics of our Fathers and it's current application with Mrs. Chaya Sara Silberberg. Tuesday Night Torah: 8:15 p.m.
Join other women at the home of Laya Kleinman for an din depth discussion on the weekly Torah portion and it's current application with Mrs. Laya Kleinman. 6783 Edinborough, WB 48322. To request email updates on classes and events for women, contact Zeesy Silberberg at 248-865-1541 or zeesy@baischabad.com. No class on Jewish holidays. $180 sponsor for one month of Caffeine for the Soul: Month: Jan. Feb. March April May June July Aug. Sept. Oct. Nov. Dec.